Guide to Being Broke & Fabulous is a contemporary self-help zine which aims to navigate modern life on a serious budget - BUT IN STYLE. Measuring approximately 5" x 7" in size, Guide to Being Broke & Fabulous zine is 36 pages in length and written by Julia Arredondo. 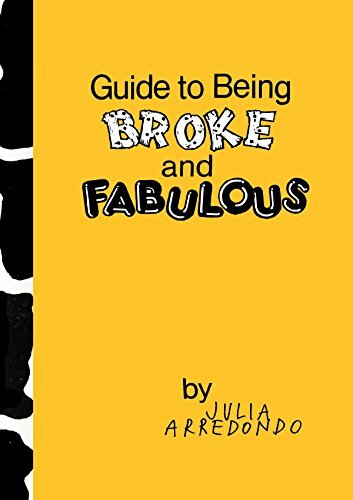 Tackling heavy subjects including coping with being broke and staying nourished; Guide to Being Broke & Fabulous is an advice zine written from experience with full humor. Originally risographed, the zine is now produced via photocopy and saddlestitch bound. Produced in residency at Spudnik Press in Chicago, Illinois; "Guide To Being Broke & Fabulous" is available as an on-demand printed edition. Released in December of 2015.